On Saturday May 22nd 2010 we were at the Butler Vagabond Center in Lyndora Pennsylvania. 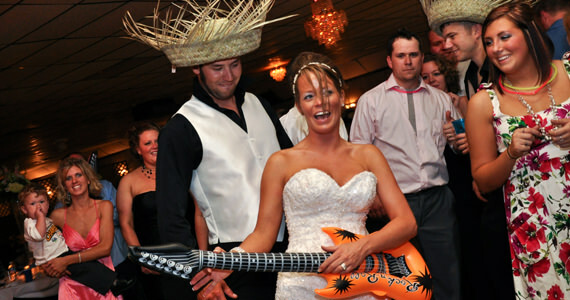 The event was a wedding reception for Andrew and Brittney Larimore. 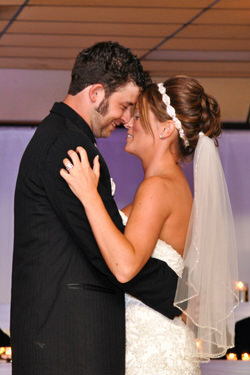 Brittney and Andrew were married at 3:30 PM at the First United Methodist Church in Butler PA. Guests began arriving at the Vagabond Center at 4:30 PM, where they enjoyed cocktails and a chocolate fountain, which was provided by Chocolate Fountain Heaven of Cranberry Township. At 5:30 PM, we formally introduced the bridal party to “I Gotta Feeling” by Black Eyed Peas. We then introduced Andrew and Brittney to “Say Hey (I love you)” by Michael Franti. After the introductions, Brittney and Andrew played the Newlywed Game and then cut their wedding cake to “Sugar Sugar” by The Archies. Dinner was prepared by the banquet staff at the Vagabond Center and was served buffet style. After dinner, Andrew and Brittney shared in their first dance together as husband and wife to “Love Your Love The Most” by Eric Church. They then danced with the bridal party to “Friends In Low Places” by Garth Brooks. Next, Brittney requested a special dance with her father, Mr. Danny Beachem to “I Loved Her First” By Heartland and Andrew danced with his mother Mrs. Donna Larimore to “I Hope You Dance” by LeeAnn Womack. 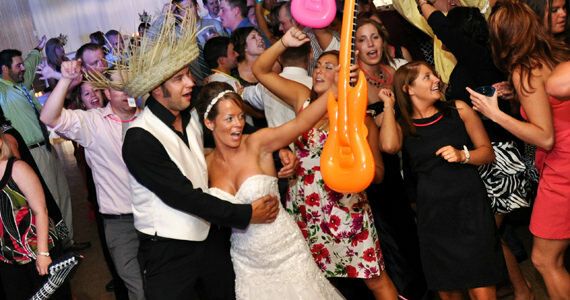 Through out the remainder of the evening, guests danced to music by, Miley Cyrus, Ram Jam, Cupid, Michael Jackson, Brad Paisley and more. At 11:00 PM, we invited all of the guests to share in the last dance of the evening to “I Had The Time Of My Life” by Bill Medley and Jennifer Warnes.